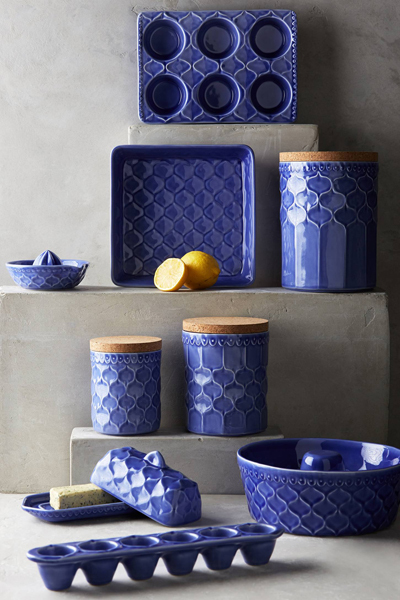 This Indigo Adelaide Bakeware is as functional as it is beautiful. Made from earthenware. Dishwasher and microwave safe. $24-$32. Buy here.